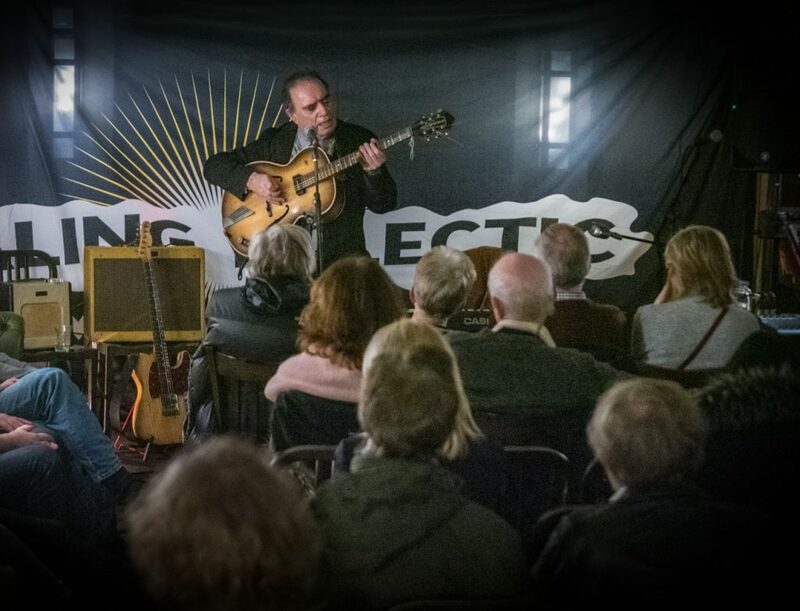 The Ealing Eclectic MusicSpace “Coffee House” sessions are creating a loyal following from those seeking premium music performances in intimate West London settings. 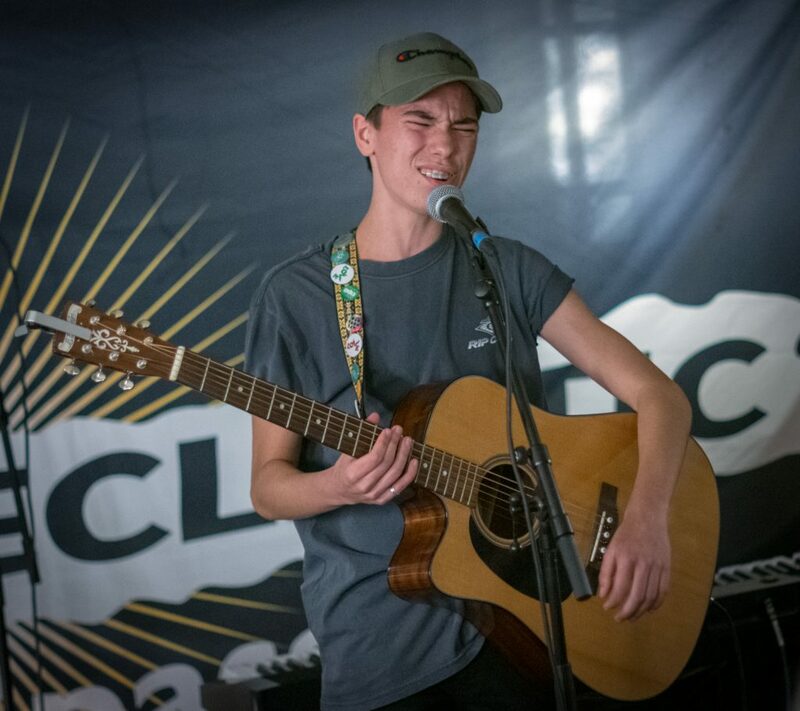 Thanks to backing from the Arts Council of England the Ealing Club CIC is trying to reach out to across multiple venues that offer potential to improve the prospects for live music participants. Johnny G performing at the 18 January 2019 Ealing Eclectic event at Cafe Zee, Ealing Broadway. On Friday 18thJanuary three artists were on offer to a crowd whose ages spread across the generations. The Café Zee venue is unlicensed and hence ideal for parents and kids to watch and participate from 7:30 – 9:30 pm. Just after 7:30 pm, Marky Dawson the Boogie Woogie Piano player who recently teamed up with Derek Nash (of Jool’s Holland’s R & B Orchestra) began a 40 minute set featuring some classic piano based tracks with the pinnacle being his version of Rag ‘n’ Bone Man’s Human. 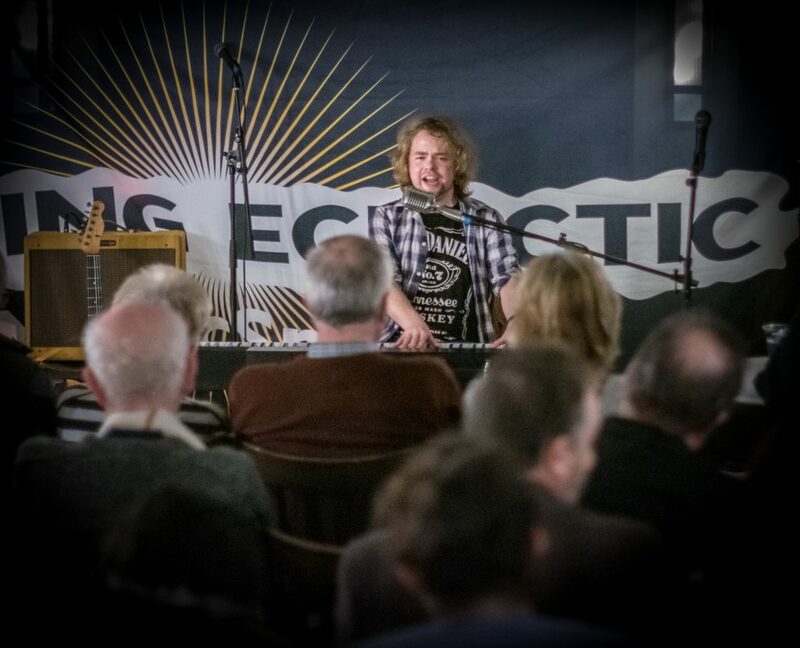 Marky Dawson performing at the 18 January 2019 Ealing Eclectic event at Cafe Zee, Ealing Broadway. This intermission between headline artists is a platform for younger musicians, particularly those in the under 18 age group who turn-up and ‘cut their teeth’ on a tiny stage in front of supportive audience. Louis Martino offered up renditions of ‘Way Down We Go’ by Kaleo and ‘Sunflower’ by Post Malone and had the nerve to spontaneously call upon his sister to perform a version of Belly Ache by Billie Eilish. It was brilliant and there will be no doubt more from them in the future. Headliner, JohnnyG offered a set that hypnotized all those present with his unique guitar playing style. His ability to draw on the blues while bringing in ska, folk and even some music hall traditions is something quite unique. His back catalogue of music, some of which helped consolidate the Beggars Banquet record label is now ripe for rediscovery by local film directors and his quirky live guitar style hit the spot with the audience. Tracks such as Highway Shoes, Night after Night, In My Time of Dying were skilfully delivered to cater for audiences in 2019. Johnny won some new fans. Johnny (aka John Gotting) returns to Ealing for a special birthday celebration at the Castle Inn Ealing on 9th February 2019. Ealing Eclectic MusicSpace is already selling ticketed ‘Coffee House’ seats for February 8th and March 8th. Also, check out Louise Marshall & The Brethren on 15th Feb at the Brentham Club and Phil Odgers at Questors Studio Theatre on 15th March. Don’t miss out! – They are evenings worth paying for!